This personalized artwork is a great way to remember your romantic wedding in Italy. 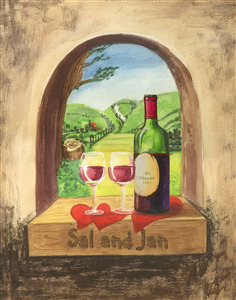 It also makes a great anniversary gift to couple's whose love has grown better with time, just like wine. Everyone who views our DaVinci art comments on the uniqueness. It was a great anniversary gift.